Is your business mobile-ready? It should be. With 1.75 billion smartphone users worldwide1, you could be missing out on a lot of potential customers. Here are 3 steps you can take to maximize the potential of mobile for your business. Have you checked out your website on a smartphone recently? For the 65% of users who start their search on their smartphones2, that may be their first and only exposure to your business. Make that a good one. First, find out if your website is mobile-friendly. Google’s Mobile-Friendly Test can help you do that. You should also load your website on a smartphone and pay attention to these 3 things: How quickly does your page load? 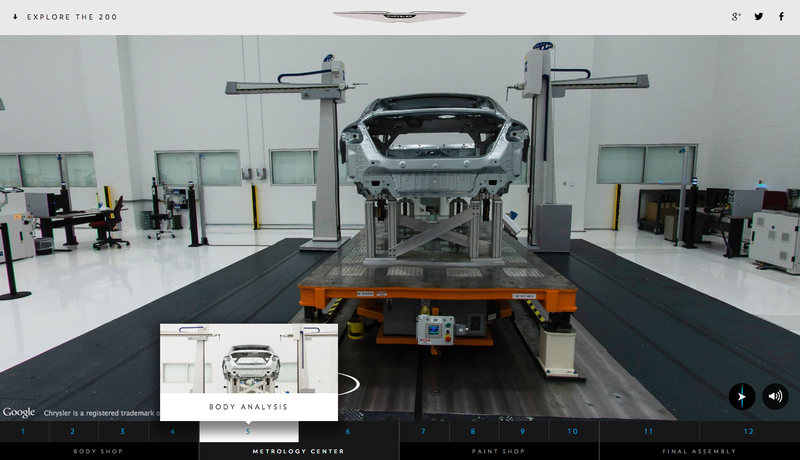 Does your page fit on a small screen? Is key information visible without scrolling? There are many ways you can set up your website for mobile optimization. Google generally recommends responsive web design, where code is used to adjust the same page to different screen sizes. You can try to set up the code yourself, or you can use templates from sites like Strikingly or Wix. Depending on your needs, you might want to consider creating a separate mobile site. Tools such as Mobify and DudaMobile can help you set that up easily. PageSpeed Insights is another useful tool that can suggest ways to improve the loading speed of your website for both mobile and desktop. Listing on Google My Business might also be a good place to start. One of the great things about Google My Business is that all its listings are already optimized for different devices. It will also list your business info on Google Maps. Even if you already have a website, it is an easy way to start expanding your mobile presence. Social media is a big part of the mobile experience, and a great way to engage your customers. In the US, 42% of smartphone users visit social network sites at least weekly on their devices. This number is even higher in Asia, so if you’re based in Asia or thinking of reaching customers there, you should start thinking about social media3. You can do this by sharing interesting content about your business, such as stories, photos and videos on sites like Google+ and YouTube. Have a new shipment of 60s dresses for your vintage clothing store? Share some photos. New fall dish on your restaurant’s menu? Let customers know. They might even share your content with friends, and help you find new customers that way. Set yourself a schedule so that you get into the rhythm of updating regularly. It doesn’t have to be daily, just something that you think is manageable for you. You can also use your social pages as a way to share updates like extended opening hours or holiday sales. Planning on selling everything at 50% off for Christmas? Share it. 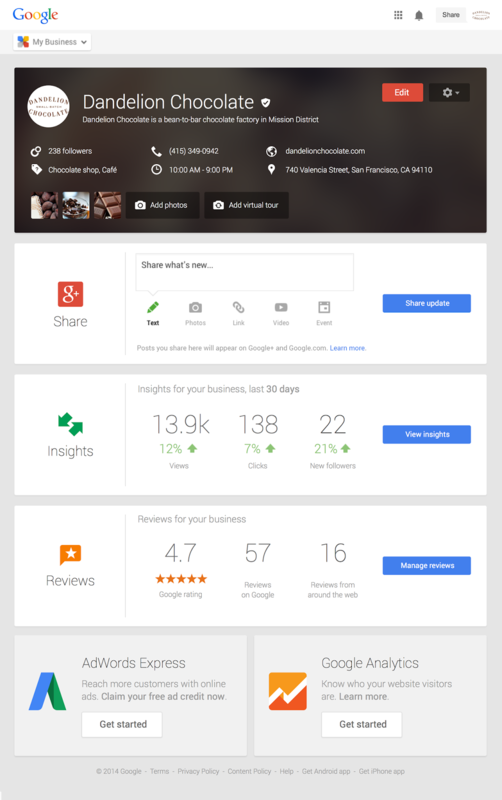 You can also respond to customers’ ratings and reviews using Google My Business. This is a great way to have a conversation, get feedback and really give a human voice to your business. Search is the activity that smartphone users engage in most frequently, even more so than social media4. Maybe you own a ramen store in Tokyo that is open late into the night. 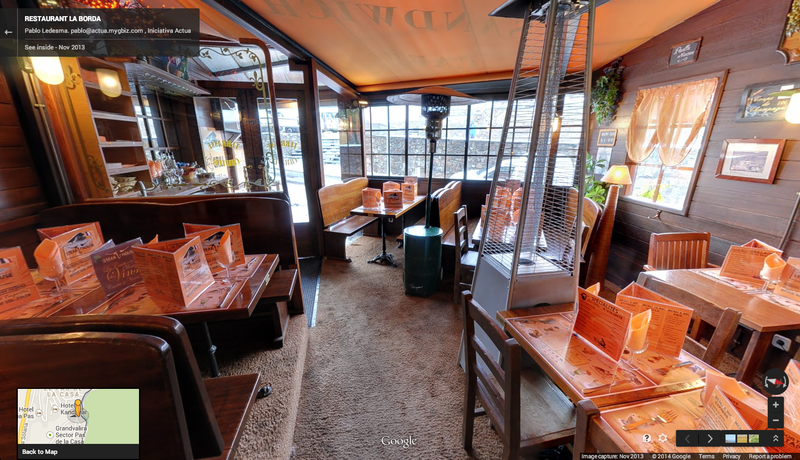 Chances are, someone searching for “dinner in Tokyo” at 1am is a potential customer you’ll want to reach. Advertising on Google can help you reach the kind of customers who are already looking for what you offer. If you have a brick-and-mortar store, AdWords’ location extensions feature can direct people to visit you in person. You can even design your ad campaigns so they only appear to people already near your store. Someone searching for “flower shop” on their phone, 500m from your store, is someone you could reach with a Search ad. Did you set up a Google+ page in Step 2? You can show off your excellent ratings on your ads as well. Mobile opens up many new ways to grow your business and connect with your customers. Get your business mobile-ready so you can take advantage! Note to small businesses this holiday season: shopping never sleeps! One group of people who will be working extra hard this holiday season are small business owners. And our data shows that consumers will be even more restless, with one third of all shopping-related searches now happening between the hours of 10pm and 4am. Small businesses that sell their products or services online need to know that the buying experience is no longer confined to daytime or normal business hours. You can make simple tweaks to your online advertising strategy to accommodate sleepless shoppers, and further capitalize on this exciting buying period. To do this, we’ve compiled a list of 5 AdWords tips to help your small business navigate the holiday season. Stay in the know. Every year, shoppers gravitate towards specific products, toys, foods, films, and more, to shape the season’s holiday trends. Google Trends can help you get a sense of the most popular searches by region, or help you identify searches that are just beginning to take off. Understanding search trends and where they’re coming from can help you focus your campaigns on the most meaningful terms for your audience. Show up in your audience’s searches. Peloton Cycle sells stationery bicycles and streams live cycling classes into customers’ homes. They know that many shoppers will be looking for health and fitness solutions this holiday, so they’re using broad match modifier keywords, which allows your ad to show up in searches that include a keyword and controlled variations. Peloton added keywords like “+buy” and “+holiday” to reach users most likely to make a purchase. This, along with other targeting refinements, allowed them to lower their cost-per-click by 30% and increase their clicks by 474%. Let AdWords work when you can’t. After a successful appearance on Shark Tank, the owners of Tower Paddle Boards have been hard at work creating unique and custom boards for first-time paddle-boarders. They’re serious about providing a quality customer experience, so they use website call conversions to track AdWords leads that kick off the consultation process for new customers, around the clock. Other tools in this vein are flexible bid strategies, which automate the bidding process and help you reach goals across specific campaigns, ad groups, and keywords. Some of these strategies are perfect for capturing night shoppers because they adjust bids using real-time details like device, browser, location, and time of day. Mobilize your advertising. The owner of Novica, an online artisan gift and jewelry company, became discouraged when he noticed low conversion rates on mobile, and eventually eliminated his mobile ad presence altogether. But Google Analytics insights showed him that mobile traffic was still profitable; it just had to be set at the right cost per click. Now, they’re adjusting their mobile bids to find that happy medium and get the most out of their AdWords investment this holiday season. Stand out in the crowd. Holiday shoppers visit up to 12 websites before deciding on a holiday purchase - so don’t get lost in the buy cycle! Make your ad extensions stand out by using information that will draw more people to your website, or use ad customizers to show highly strong promotional offers to your customers, in real-time, even when you have lots of products, services, and promotions—all changing by the day. 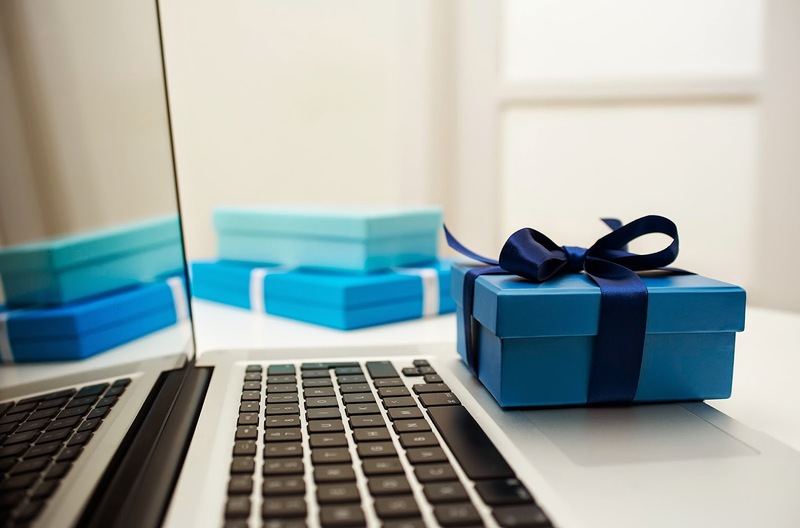 We hope these tips can help your small business connect with more holiday shoppers, as they hunt for deals around the clock from Black Friday to New Year’s Day. If you’d like some additional guidance, including free online courses, you can also visit our AdWords Help Center. Start laying out your end-of-year strategy now, if you haven’t already - and best of luck meeting your goals this holiday season! But don’t let restless shoppers keep you up. , we’ll be exploring new ways to build a strong online presence for your local business. For this post, we’ll be focusing on using Google My Business to see how your business performs on the web. Have you ever wondered how many customers search for your business on Google Maps or whether your customers are seeing that photo you uploaded last week? 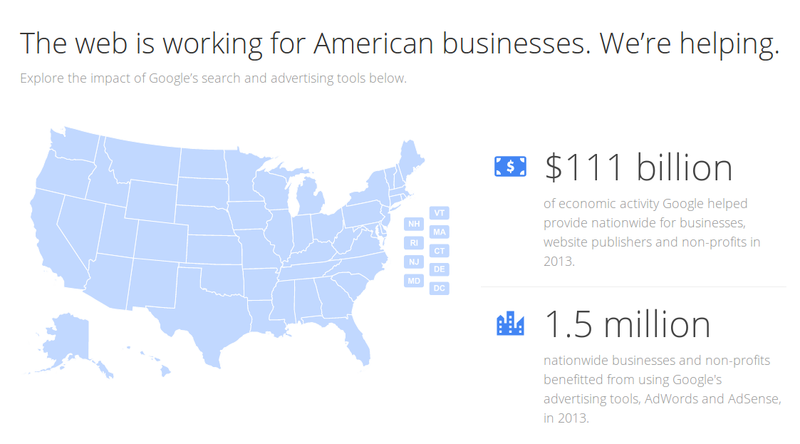 To access Insights, open Google My Business, choose the page you’d like to manage, and click View Insights. Insights are another good reason to verify your local business--you won’t be able to see the data without going through that process. 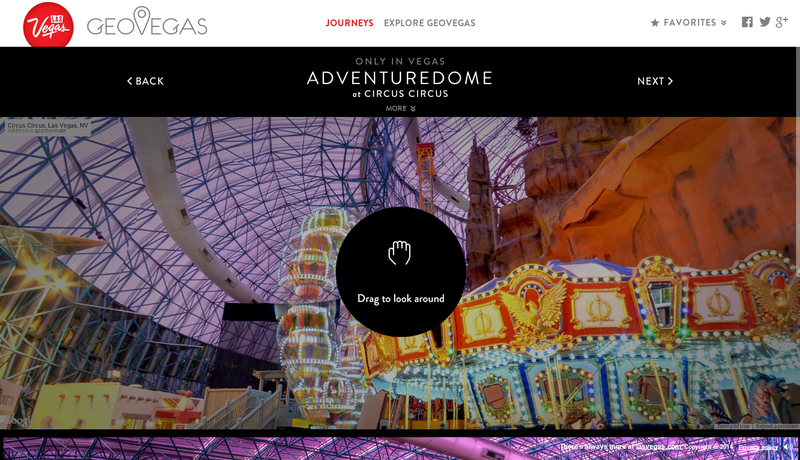 Once you’re there, you’ll see three tabs: Visibility, Engagement, and Audience. 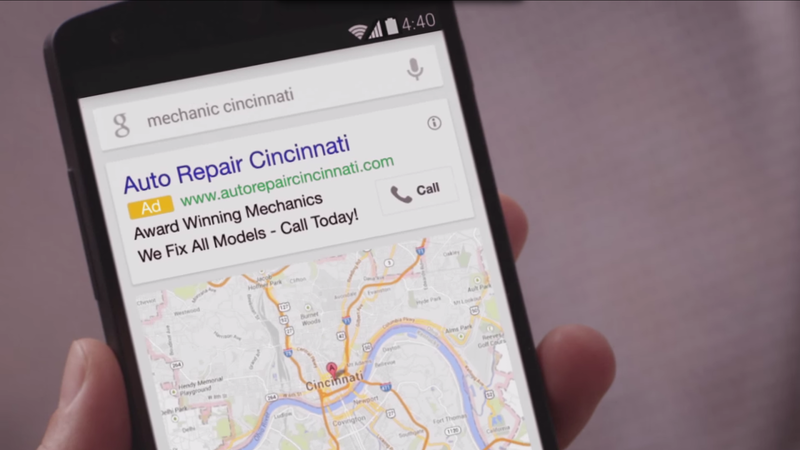 Click Visibility to get numbers on how customers engage with your business on Google--through driving directions, clicks to your website and more. The charts on the Engagement tab lets you know how your customers interact with your posts. You can even breakdown the information by type of post to see whether your customers respond better to picture or text posts. Visit the Audience tab to understand the makeup of your Google+ followers, including their age range, country, and gender. With Insights, you have the tools to watch your local business grow online. With the launch of Google My Business, we’ll be exploring new ways to build a strong online presence for your local business. Small business owners are some of our favorite dreamers and doers. More than half of Americans either own or work for a small business, and two out of three new jobs in the U.S. each year are created by small businesses. It’s clear that you make a big impact with your creativity, hard work and passion. As you grow, we know that you may have lots of questions on how to make the most of the web. National Small Business Week is a chance to say thanks for all you do for us and our communities and to share a few helpful resources. 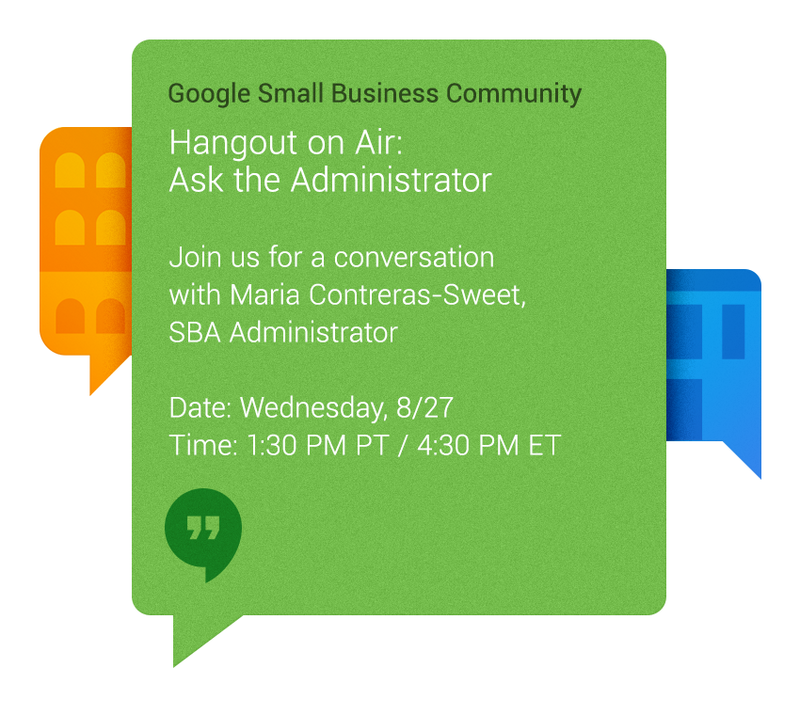 Today we’re launching the Google Small Business Community, a place for you to share what makes your business special, connect with other businesses, and get a direct line to help from online experts. Join the community from May 12 - 16 for special content like a message from President Obama and tips from business leaders and the Small Business Administration. 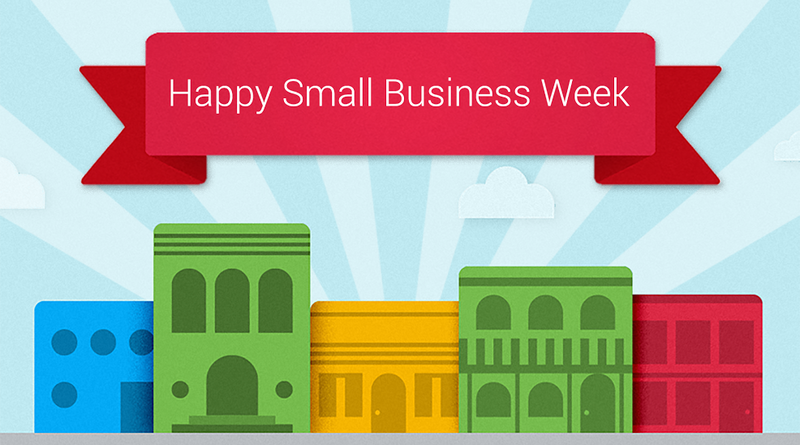 After this week, the Google Small Business Community will continue providing information and inspiration. Daily posts, weekly trainings and regular Hangout series will be based directly on what you want to learn. 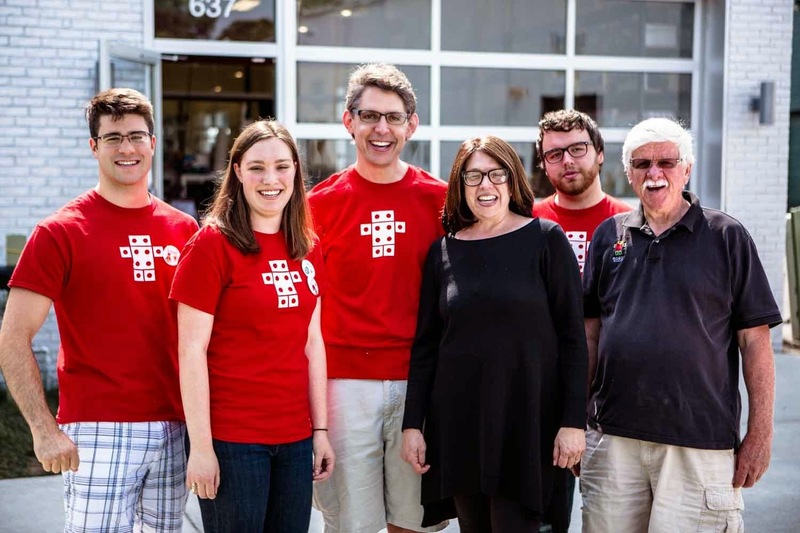 And a team of trusted Advisors and Googlers with digital expertise will always be around to answer your questions. We’ve also created a new Helpouts page for small businesses to get one-on-one advice with experts over video on topics like online marketing, branding and web design. And if you join the Google Business Community between May 12 - 16, you’ll get access to a Helpout of your choice. We’re excited to meet you. Drop in and tell us a little bit about your business. Happy Small Business Week!